Honda CR-V Running Costs, MPG, Economy, Reliability, Safety | What Car? Honda dealers aren't known for giving away huge discounts on the CR-V and it looks rather expensive in the company of its Mazda CX-5 and Citroën C5 Aircross rivals. Better news comes in the form of strong resale values, particularly for the Hybrid, although the RAV4 Hybrid is predicted to hold its value even better. Officially, the 1.5-litre CVT automatic model manages a WLTP combined fuel economy figure of just 32.5mpg, which we backed with a figure of 33mpg in our own tests. That's nothing special when you consider that even the bigger-engined Mazda CX-5 2.0 165 auto managed 36.3mpg in our test, and the powerful Citroën C5 Aircross 1.6 180 EAT8 hit 37.1mpg. The CR-V Hybrid is the most economical model in the range, but according to official figures even this won't match the latest Toyota RAV4 Hybrid, and the RAV4's lower CO2 emissions make it much better for company car users. If you're a high mileage driver, you might want to investigate the diesel alternatives. The CR-V range opens with S trim, which comes with a decent amount of kit including 17in wheels and adaptive cruise control, plus all the safety features and visibility aids we've already covered. 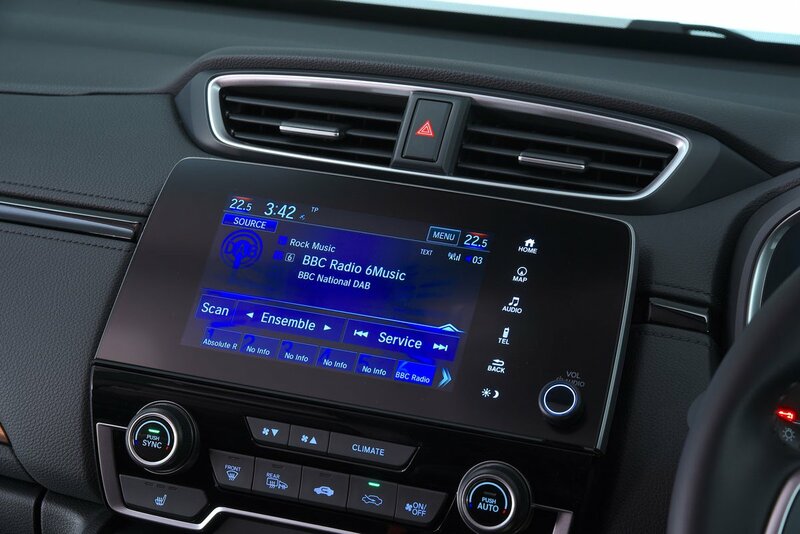 We’d recommend you spend a bit more for SE trim, which adds Apple CarPlay and Android Auto which, as we've mentioned, serves to mitigate Honda's poor infotainment software. You also get dual-zone climate control and 18in alloys. Going for the pricier SR adds a bit more safety kit along with leather seats, while the top-of-the-range EX features 19in alloy wheels, keyless entry and a powered tailgate. These upgrades really push you up the price list, though, so stick with SE. 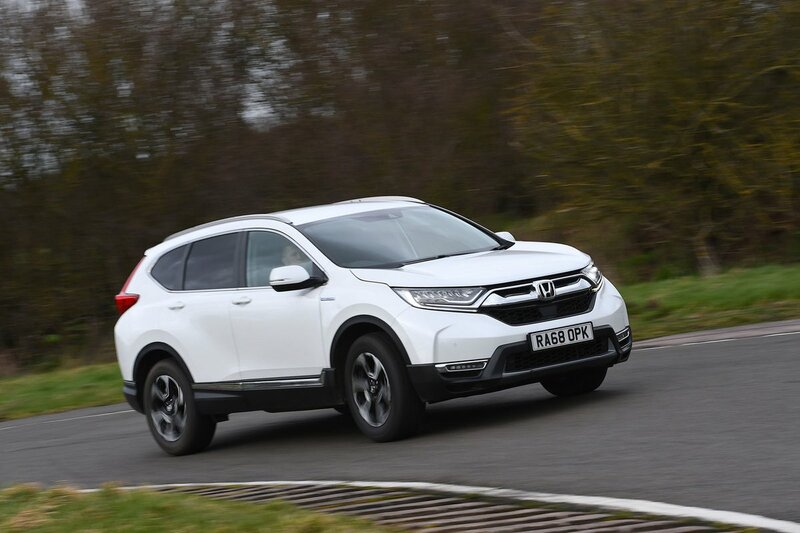 The current CR-V is too new for us to have compiled reliability data for, but Honda itself came 15th out of 32 manufacturers in our 2018 What Car? Reliability Survey. That's not bad and bodes reasonably for the CR-V, but remember, Toyota, which builds the RAV4, finished third. Honda’s default warranty is three years/90,000-miles, including breakdown assistance. 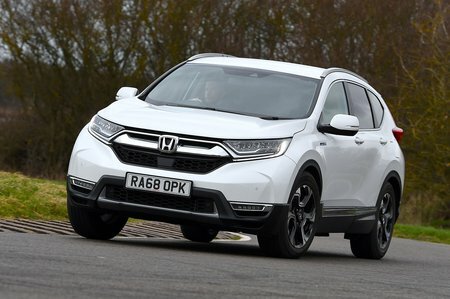 Honda is confident that it has engineered the new CR-V well enough for it to achieve a five-star Euro NCAP safety rating. We’ll let you know if that’s the case as soon as it has been crash tested. Automatic emergency braking, lane departure warning, traffic sign recognition and lane-keeping assistance are all standard on the CR-V. Further up the range, SR gets you blindspot monitoring and rear cross-traffic alert to warn you of approaching vehicles when you're reversing.